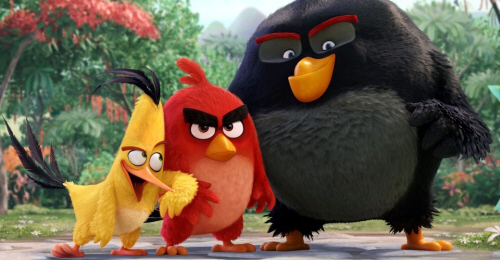 They say that change is inevitable and after developing and animating five Alpha and Omega films for Lionsgate, Crest Animation Studios handed over the reigns to the series to Splash Entertainment somewhere before 2015. Dino Digs is the first of the Splash era releases and stacks up as the franchise’s 6th entry (even though it was originally going to be the 7th). 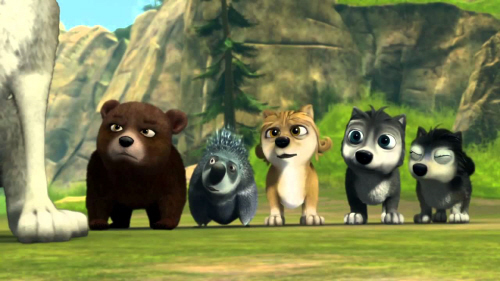 Thanks to some rearranging of the release schedule, the film, originally announced on April 8, 2015 – (along with The Big Fureeze and Journey to Bear Kingdom) was set to be the seventh. 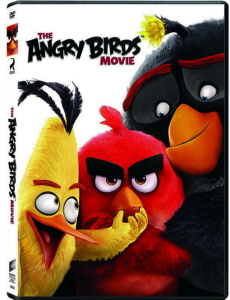 However, Lionsgate decided to release the film before The Big Fureeze. 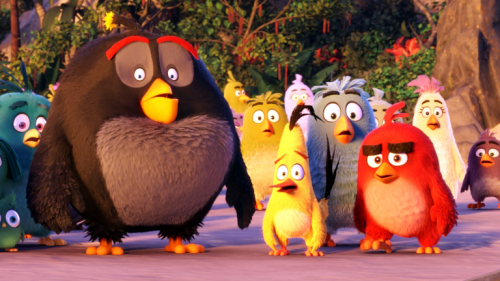 Richard Rich, who directed the previous sequels, was replaced with animation director Tim Maltby, while Tom Kane returned to write the script. 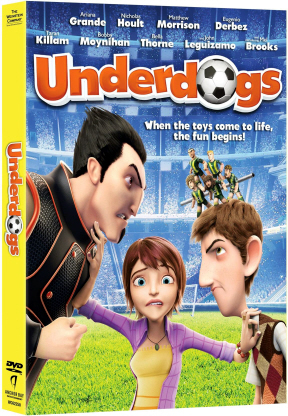 The film was released directly to DVD May 10, 2016. While it’s tough to point a finger at precisely who is at fault, the general consensus is that Dino Digs is one of the worst entries to the entire franchise to date. 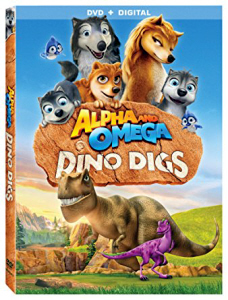 Admittedly, the whole concept of this one with time traveling dinosaurs from 65-millions year ago interacting with modern-day wolves does tend to suggest the writers were really scraping the bottom of the barrel for ideas; I will go on record as saying the formulaic nature of the Crest films preceding this one were getting quite repetitive as well. The story this time tells of Kate and Humphrey deciding to move their family to a “new high rise” of caves, only to discover their ideal cave isn’t even real. It turns out to be made of recycled material and located above a nearby golf course. Claudette, Stinky and Runt go exploring and discover a sacred burial ground. Naturally the trappers who have been after the clan for countless tellings are on the scene attempting to dig up the site. It’s here that the pups meet Amy, a velociraptor that comes back to life when her immortal essence, somehow still tied to her bones is hit by lightning near the site. Now the pups have to find a way to help Amy get back to her era and return home to the artificial cave before something terrible happens. That is something more terrible than resurrecting the ghost of a 65-million year old raptor of course. 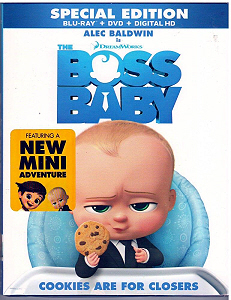 If you’re looking for depth of story, Pixar-style cleverness, DreamWorks inspired humor or even a story that makes the slightest bit of logical sense, this isn’t the film for you. 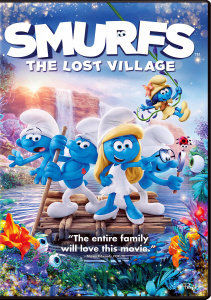 Splash Entertainment has been getting a bad rap since the film’s release for a dip in quality over the studio they replaced (Crest) but in all fairness, the animation and direction are hardly the film’s biggest detractors. Rather, a convoluted and muddled plot linked to a by-the-numbers delivery and conclusion really don’t do the characters here any favors. About the biggest positive I can report is that when compared to the five sequels that preceded this one, at least Dino Digs “feels” a little different; a bit fresher if you will. Recommending the film for sheer entertainment’s sake alone is extremely difficult but if instead, and like me, you’ve come this far with what started out as a pretty solid franchise, it’s hard to turn your back on it now. Since the time of this review’s initial writing, the seventh entry to the series, The Big Fureeze, has been released, it should soon become apparent just how much of the blame for Dino Digs’ lackluster delivery falls on Splash Entertainment’s shoulders and how much is simply the result of source material that is being spread far too thin. Stand by! 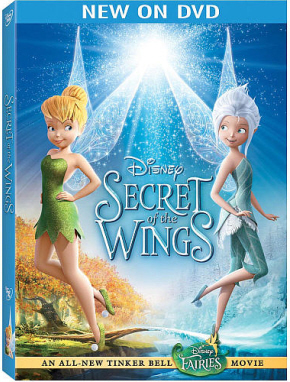 Secret of the Wings is a 2012 computer-animated fantasy film, and the fourth in the Disney Fairies franchise, produced by DisneyToon Studios. It is the last to make use of the theme of seasons in the franchise as well (the 5th and 6th entries to the series, The Pirate Fairy and Legend of the NeverBeast respectively, do away with focusing on a single season/ climate). This one was built upon a budget of $35-million (which is right on par with the budgets of all the entries in the series) and even with a limited theatrical run, managed to turn that into $67,537,798 through the international box office. Coming in at 75-minutes in length, the cast is virtually unchanged from the prior movies. The story here tells of a forbidden zone to the warm fairies like Tink called the Winter Woods, which just so happens to be inhabited by winter fairies. Ever the explorer, Tinkerbell wanders into the winter woods where, in addition to discovering the strange shimmering affect the cold seems to have on her wings, she meets a frost fairy named Periwinkle. 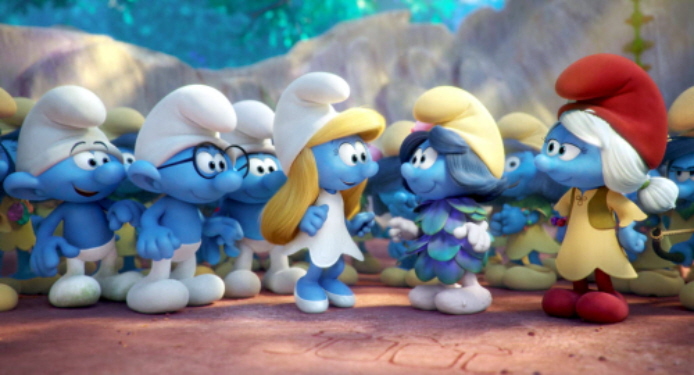 Together they work to uncover the secret of their shimmering wings while trying to unite the warm fairies and the winter fairies once and for all. The pacing, visuals, charm and gags are nothing new here; and it’s a very safe conclusion that fans of any of the other entries in this franchise will appreciate this one as well. 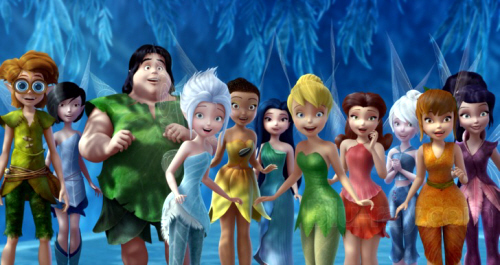 While I wouldn’t go quite as far as to say this one is the strongest entry to the Disney Fairies universe, it is certainly a step up in terms of story telling over the three films that preceded it. When one thinks of a winter-themed CG piece, often the first reaction is to imagine a world of bleak white and gray but this is Disney after all. While Frozen is in no danger of being shown up, these guys prove they’re very adept at animating ice, gently falling snow, cozy fabrics and dramatic sweeping shots that encapsulate the chill perfectly. New addition winter overseer Lord Milori makes for a very interesting character reminiscent of something out of JRR Toklein’s playbook (voiced by Timothy Dalton). Perusing various critical opinions around the net seems to reveal the common word “sweet” to describe the viewing experience and frankly, that’s a fitting adjective. 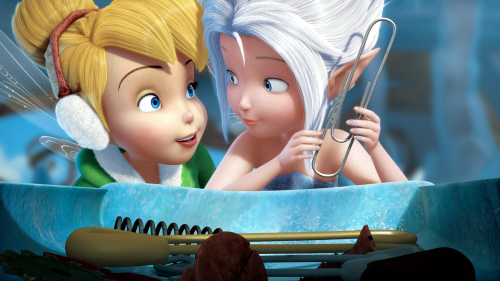 The film doesn’t take many chances or try to tweak with the proven formula but rather approaches the mythos with a good, steady hand and a singular plot twist that adds a new dimension to the canon of Tinkerbell. All in all, Disney has proven that it’s quite serious about the franchise (with six feature films and a pair of shorts out to date) and consumers are responding to their commitment with their wallets. This is actually the first of the series to have made a profit at the box office, a trend that has continued with the films since. 2014 was a busy year for the Alpha and Omega franchise. The third and fourth entries to the series were released only 7-months apart (March 4th and October 7th respectively). And speaking of that October release date, that’s no coincidence either as The Legend of the Saw Tooth Cave was written to capitalize on the Halloween season with this one representing the creepiest themes of the series so far. It’s also the first in the ever-expanding series to do away with numbering the titles. 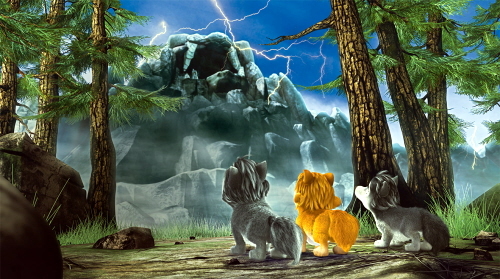 The story begins prior to the first film in a dark and shadowy forest, where a female wolf is being chased by other unseen wolves. She takes refuge for a moment behind a bush before jumping out, presumably to her doom. The camera zooms in the bush, revealing what appears to be a pair of two glowing eyes in the brush. We then cut to present day, where Winston (Larry Thomas) and Tony (Bill Lader) are at Alpha school, training the future leaders of the pack – including Stinky (Kate Higgins) and Claudette (Lindsay Torrance). Runt, the cutest of the litter, is an Omega like his father and thus relegated to a very different school than his sibs. Deciding the only thing to do to prove to his family and pack that he’s as courageous as the leaders, he musters up the courage to explore the notoriously haunted Saw Tooth Cave despite warnings from everyone from fellow wolves to porcupines. What he finds, surprisingly, isn’t at all what’s expected and the supernatural element is never explained away (rare for a children’s film). There is no Scooby-Doo style unmasking going on here and in fact, the apparition is revealed to be one of guardianship and protection. It’s very refreshing to find a ghost story that doesn’t weasel its way out of any mysticism in fear of being a bit creepy. The polish of the film is also quite improved over the previous entry and a good explanation of this comes from the budget itself- which increased from $1-million to $7-mil thus making it the second most expensive film in the series (the first of course belonging to the original which clocked in at $20-million) and the most expensive of all the direct-to-DVD sequels. I don’t want to insinuate that the visuals are night-and-day improvements over the prior two sequels, but things seem to be running a bit more smoothly this time around and some of the textures and effects are definitely improved. The biggest difference, though, is that the film’s writers seem finally to have been able to tap into the humor that made the first movie so successful. Some of the dialog here is genuinely funny and the beats of the production don’t rely only upon slapstick and cheap visual gags for laughs. 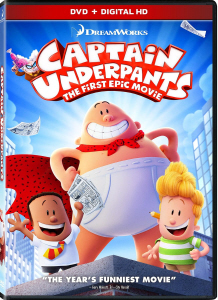 The cast is largely unchanged from the last films with the standout performance again coming from Jimmy Neutron’s Debi Darryberry (under new stage name Dee Dee Green) reprising her role as Runt. 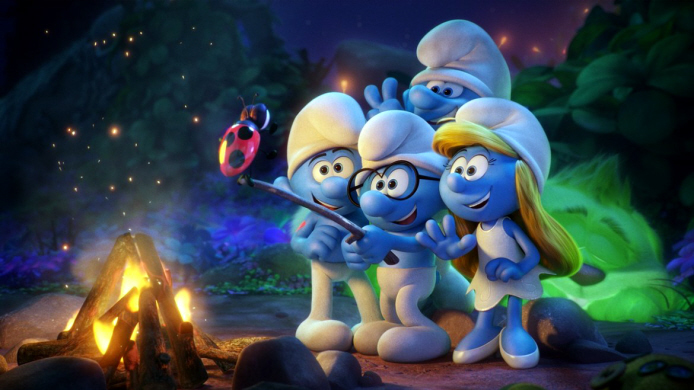 The 45-minute film’s achievements are made even more remarkable by that fact that the film was only in production for about a year (and that it was the second in the series to come out in a single year). Bear in mind that most theatrical CG pieces require production cycles between 4-6 years. All in all, Legend of the Saw Tooth Cave doesn’t reinvent the CG medium and it’s still apparently a direct-to-DVD production but at least it steers the franchise back toward the original film in terms of its wit and charm. 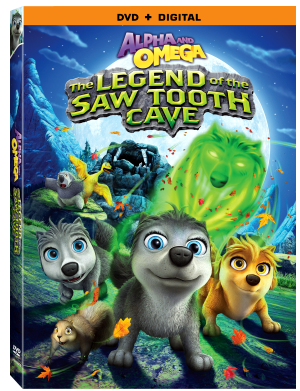 Considering since the time of this one’s release just two years ago, two more sequels have been released with a third on the way, one really starts to wonder why LionsGate and Crest Studios haven’t simply gone the way of DreamWorks and turned Alpha and Omega into an animated series. Perhaps that’s the eventual plan but in the mean time, this one is a lot closer to the sequel fans of the original have been expecting. The third installment of the Alpha and Omega franchise starts to capture a bit of the charm and humor of the original despite a much smaller budget. 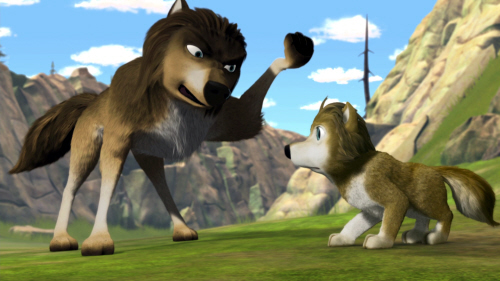 In fact The Great Wolf Games, which was released in 2014 based (quite loosely I should note) on the 2014 Winter Olympics in Sochi, Russia, came in with a budget of only $1-mil (or 1/5 the budget of the abysmal Howl-iday Adventure). The story once again opens with the wolves back in Jasper Park, as the pups – Stinky, Claudette and Runt – watch a few wolves on their caribou hunt. They decide to join in by chasing the caribou, which allows Claudette to demonstrate a drift move she learned from Fast and the Furious, er I mean from her mom Kate. This draws the attention of a wolf pup from Northern Team named Fleet who explains that the Great Wolf Games are about to get underway and that, for whatever reason, The Western pack declined the invite to participate. 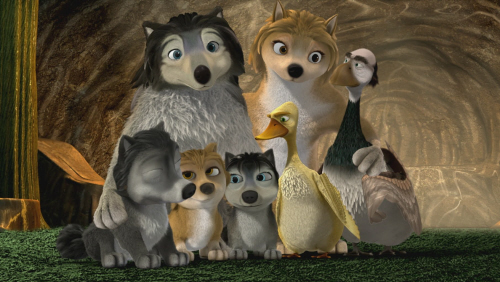 When Claudette spots a bear cub chasing a flock of birds in a nearby field, the ambition to build a team to represent the Western pack in the Great Wolf Games is hatched and the rest is history in the sort of “movie by the numbers” sort of way. 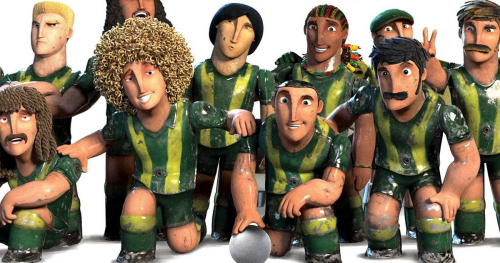 All the usual story elements are present, the opposing team’s coach (and father of Fleet) is overbearing and takes competition too seriously, there’s a bit of gender discrimination, value of good sportsmanship and the fact that friendship can overcome all inequalities nestled in for good measure. The animation is pretty simplistic and lackluster, perhaps as to be expected for what boils down to a made-for-TV budget. Many of the actors from the second film reprise their roles for the third (which, while not nearly as fluid as the cast of the original, are serviceable for the task at hand). Perhaps the big highlight is that the voice of Jimmy Neutron, Debi Derryberry (under new stage name Dee Dee Green) provides the vocal work for Runt. The games themselves are surprisingly lackluster; any attempts to emulate the scope and scale of the Olympics are lost here- with the entire competition boiling down to a few woodland critters running an obstacle course in the forest. 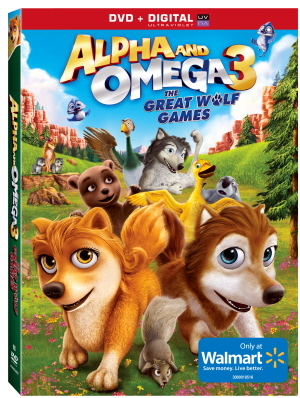 At the end of the day Alpha and Omega 3: The Great Wolf Games is a largely forgettable experience but young kids may enjoy its simplified narrative, brisk pacing (after all, the whole affair is 44 minutes long) and the fact that LionsGate is doing all they can to make the trio of pups household names. Adults, however, will likely find little to get excited about here. The humor isn’t very sophisticated, the animation and texturing aren’t very pretty to look out and the plot is nothing that hasn’t been done countless times before. About the greatest praise heaped upon it is that the film shows hints of rediscovering a bit of the charm of the original. It is the next entry in the series that finally manages to capitalize on that potential, however. 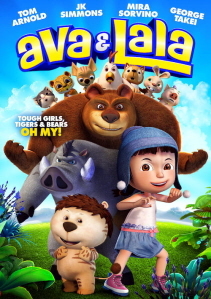 Ava and Lala is a tough film to review. I suppose a good part of this is because it originated in China and, naturally, was written and animated around a Chinese-speaking vocal cast. As is so often the case when taking a foreign film, slapping an English dub voice-track over the top of it and calling it a day, many elements of the finished product come off as odd. And odd is perhaps the best summary of the entire viewing experience that is Ava and Lala. The story tells of a young girl names Ava being raised by her marital-arts instructor father (the whereabouts of her mother are never revealed). In addition to being quite defiant, stubborn and at times rude, Ava is quite the martial artists herself. In a physics-defying display reminiscent of Yoda in action at the end of Star Wars Episode II: Attack of the Clones, early on the viewer is subjected to a scene where Ava’s dad tries to capture his naughty daughter to discipline her only to be foiled by the pint-size powerhouse’s arsenal of moves. Finally prevailing, Ava is sent (tossed) to her bed and instructed to stay put. She quickly escapes through an exit of her own design and, through a series of strange and disconnected events (from meeting a talking liger that is equal parts Pokemon and teddy bear only to be swallowed by a flying leviathan), finds herself in Cloud Land. Cloud Land is a realm full of talking/ walking-upright animals and deep political/ mystical undertones. We are painstakingly explained that Cloud Land was founded by animals as an escape from the one animal that can’t get along with the rest (man) and that any human who spends more than three days time there becomes an animal as well. While this sets Ava against a timer, the real conflict comes in the form of a tiger called General Tiger who decides to wage war against humanity even though Cloud Land seems pretty tranquil. Further muddying up the waters are a prophecy predicting the arrival of an Anointed One. Add to all of this sidekicks in the form of a giant bear called Uncle Bear (Tom Arnold), a wise rat straight out of the book of Master Shifu voiced by Star Trek alum George Takei, and of course Lala the liger and you have the perfect formula for quite a sloppy 80-minute mess. 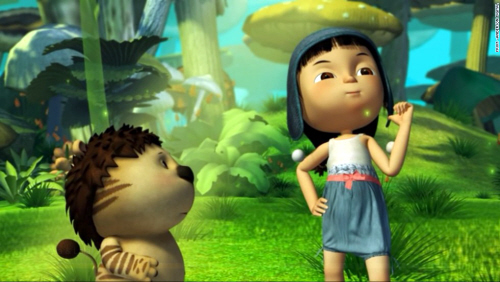 Visually the film has a unique style with an understated color pallet and sequences wonderfully laced with Asian sensibilities including lush forests, clear-water lagoons and requisite raining lotus blossoms. 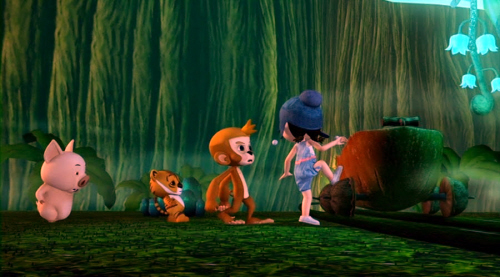 The characters emote fairly well with emphasis on the cuteness of the animal-characters in Cloud Land particularly. After all, even the villainous dog characters are cute and cuddly as can only be accomplished in Asia. It’s apparent the English voice cast did what they could with the parts; especially Takei, who makes for an unexpectedly decent wise mentor type. This is one of those cases, however, where all the acting talent in the world can’t atone for a script that doesn’t translate well for adults or children alike. By the end of the piece kids will likely have more questions than answers because quite frankly, the plot is muddled up enough to where even adults will wonder exactly what the story is trying to relay. Missed opportunities to turn this into a story with a good moral compass abound. Since Ava already has a protective father in the real world, wouldn’t it have made more sense to make the bear that cares for her in Cloud Land a matriarchal figure? Since she is protrayed as quite a brat from the onset, shouldn’t her time spend there have taught her the value in listening and respecting her elders? In the final sequence, wouldn’t a shot of her sleeping in the real world holding a stuffed animal that looked like Lala been perfect to lave the audience wondering if the whole thing wasn’t a dream sort of like The Wizard of Oz? Unfortunately these and dozens of other similarly pertinent questions go unanswered by the time the movie is over. 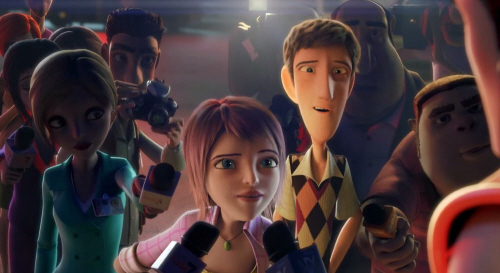 And as much as one wants to find fault in the original film for missing such obvious and logical storytelling beats, the fact that character mouth flaps often fail to line up with spoken dialog (and in some cases, the mouths of background characters move silently), serve as reminders that who can say how much was cut, changed and re-imagined in the translation? All in all it’s pretty tough to recommend Ava and Lala to anyone. Very small viewers, ones who will not be troubled by the muddled and nonsensical plot, may enjoy the visuals alone enough to be entertained. 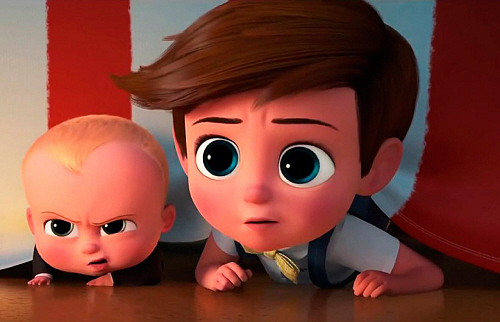 Older kids and certainly adults who have become spoiled by the level of excellence found in years of watching pieces by Pixar, DreamWorks, Sony etc. will most certainly be disappointed here. I’m a subscriber to the theory that very rarely do CG animated movies that use this method of slapping an English dub atop a foreign film succeed on any level. Arc Entertainment’s decision to try it again with Ava and Lava fails to make a compelling case against this theory.